Friday, March 15th – The 55+ Club Meets Again. We are meeting at 6pm, instead of our regular 6:30pm, because we are going to eat dinner together. The Journey is supplying the main course, bring dessert if you would like. South Asian Community Forum: Opioid Crisis and Overdose Forum – Coming up at Turner Fenton S.S. on March 5 @ 6:30pm and Century Gardens on March 28 @ 8:00pm. This forum is sponsored by Canadian Mental Health Association and presented by Samim Hasham. Topics include: Opioid Misuse; Risk, Signs and Symptoms; Naloxone Use; Talking with Loved Ones. Its that time of the year again – Tax Time! 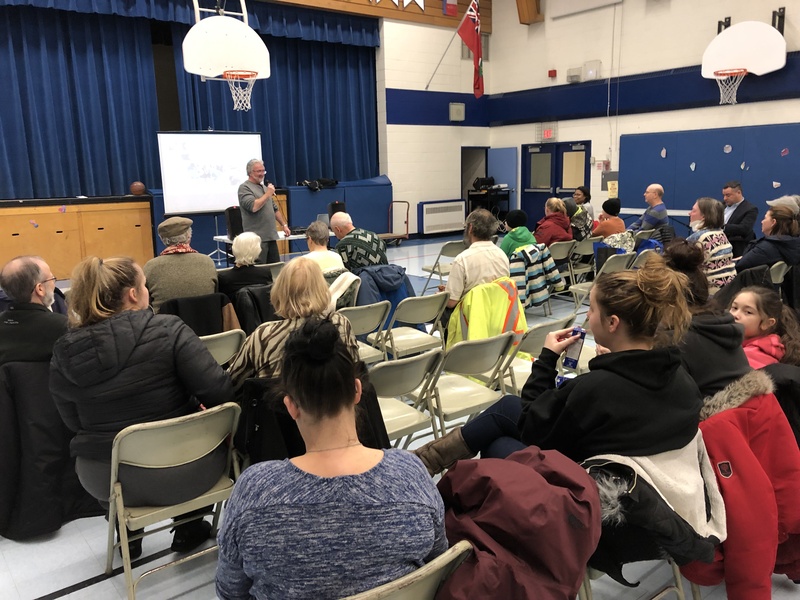 Thank you to everyone who came out to our Community Safety Meeting last night (Wed Feb 13/19)! Yes, I know what your thinking. You have been looking forward to this meeting for weeks now. A night out at Sir Winston Churchill is sure to be the highlight of the year! However, you are looking out the window at all that snow and you are finding it discouraging to think about bundling up and heading out the door. On the other hand, you have been cooped up in your home for two and a half weeks now and the walls are starting to cave in on you and the kids are wearing you down. You deserve a night out! And, what better way to spend an evening then at the Community Safety Meeting at Sir Winston Churchill Public School. There will be great presentations by Peel Regional Police, Brampton Fire Services, your City and Regional Councillors and many more. There will be displays and plenty of time to talk about your concerns and our community. And, don’t forget all the refreshments. Wednesday, February 13th at 6pm. It is a very snowy day today, but we are trusting that tomorrow will be just fine for our Community Safety Meeting. So, come on out and hear some great presentations, interact with lots of people in the know, and please eat and drink all the refreshments I bought. The meeting is at Sir Winston Churchill starting at 6pm on Wednesday, February 13th. We have Peel Regional Police, Brampton Fire Services, the City of Brampton Safety Committee, Hope 24/7, YMCA, our City and Regional Councillors and a whole lot more! We just posted our Winter 2019 Newsletter. It is a review of our 5th Anniversary Year – 2018!